The cover:Seriously, theses series has the best UK covers ever!! And if you read my previous reviews of the books, you’d already know that I love them all, but this one, is just amazing!! 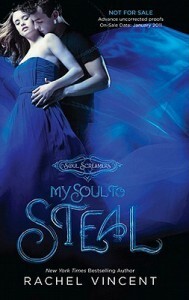 This is a UK e-book cover, I have no idea how it looks on e-readers but I’m sure it looks pretty cool :D.The storyline:My Soul to Steal has the most twisted storyline so far. It kept me anticipating what’s next. The introduction to new characters, in this case Sabine, was very good. As always, Rachel knows how to describe her characters very well along with their surroundings.This story went smooth and was very good. Also, I was kind of happy I read Reaper just before this one, since they’re kind of related :).What was unique about this sequel and which wasn’t in the previous books, was a lot of suspense. Sabine showing up just to make ruin what is already going bad for both Nash and Kaylee was killing me, and I kept just reading trying to figure things out, then I would stop, make my own conclusions then continue reading.And unlike the previous sequels, the ending in MStS (My Soul to Steal) didn’t confirm or deny anything, in this case Nash and Kaylee’s relationship. It was weird and now I’m dying to read If I Die although I now know from the title that Avari is definitely going to have a big part in it.The characters:Kaylee, the main protagonist, is as always brave and strong. However, in this book, she really did upset me. She kept overreacting over stupid reasons. She was just weird this time.Nash, well, poor Nash. He is weaker than usual, probably because of the Frost. He keeps apologizing to Kaylee and trying to bond the friendship again with Sabine while explaining to her that he is in love with Kaylee now. I hate this Nash because he’s so weak and has no idea how to pick up the pieces. He’s torn apart.Tod kept showing up like he’s the hero in all of this. It’s true I’m a huge fan of him but this time I didn’t like him. He was acting weird.I will also mention Avari, since he keeps popping up in this book. He is one hell of a hellion. He goes after what he wants and doesn’t give up at all!!! That’s why I’m 100% sure I’ll see him in If I Die.I shall give credit to Invidia for all the chaos she caused. You’ll know more about her when you read the book ;).The audiobook: I read the previous books in the series as e-books but since My Soul To Take, I decided to have this one as both an audiobook and an e-book, which was awesome since I love audiobooks.This audiobook was well narrated by Amanda Ronconi and she did a great job speaking as Kaylee :).Conclusion:I loved My Soul to Steal. 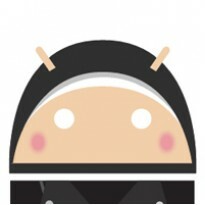 It is super cool, twisted, fun and amazing.